Josep Lluís Sert (1902–1983) was the last president of CIAM (International Congresses of Modern Architecture) and dean of the Harvard University Graduate School of Design from 1953 to 1969, where he founded the discipline of urban design. His writings offer a new view of his activities in architecture and urban planning, and provide the intellectual context for his own work as an architect, much of which is still controversial and often poorly understood. This book includes 16 essays dating from 1951 to 1977, ten of which are previously unpublished. 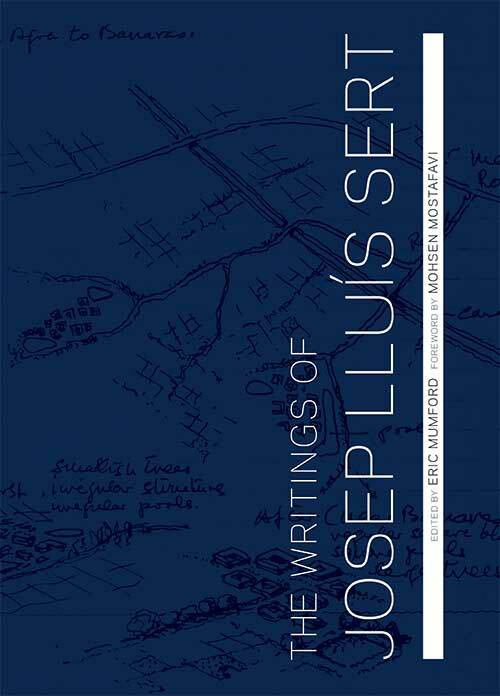 The Writings of Josep Lluís Sert illuminates Sert’s contributions to 20th-century architecture, urban design, and design pedagogy, and makes clear the similarities and differences between his ideas and those of his mentor, Le Corbusier. The essays reveal Sert’s advocacy both for pedestrian urbanism and for planning in relation to the natural environment, ideas that have become important issues in contemporary urban design. Each text is introduced by the editor, Eric Mumford, a scholar of CIAM, Sert, and modern urbanism. Co-published by Harvard University Graduate School of Design and Yale University Press.